A Muslim man who was part of a group seeking to “kill as many unbelievers as they can and impose Sharia law” used the Boston Marathon terror attack as his model, an Australian court has heard. The claim was made during sentencing proceedings for Tamim Khaja, 20, who pleaded guilty in October to planning and preparing a terrorist attack two years ago. 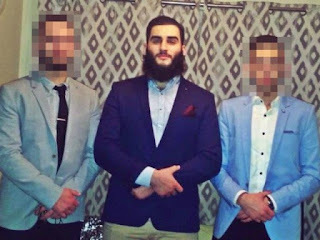 The then 18-year-old was arrested while readying for a massacre, either at the U.S. embassy in Sydney, an Army barracks or at a court complex. It’s alleged Khaja is close to imprisoned Islamic extremists Milad bin Ahmad-Shah al-Ahmadzai and his brother, Maywand Osman, who are also in custody on terrorism offences. Video evidence was shown of Khaja appearing expressionless as he talks about murdering innocent people, ABC News reports. Khaja started planning the terror attack after a failed attempt to travel to Syria to fight with Islamic State in 2016. He wrote to an unidentified man: “I am so sad I couldn’t come. My heart has been broken. I wanted so badly to be on the battlefield with my brothers.